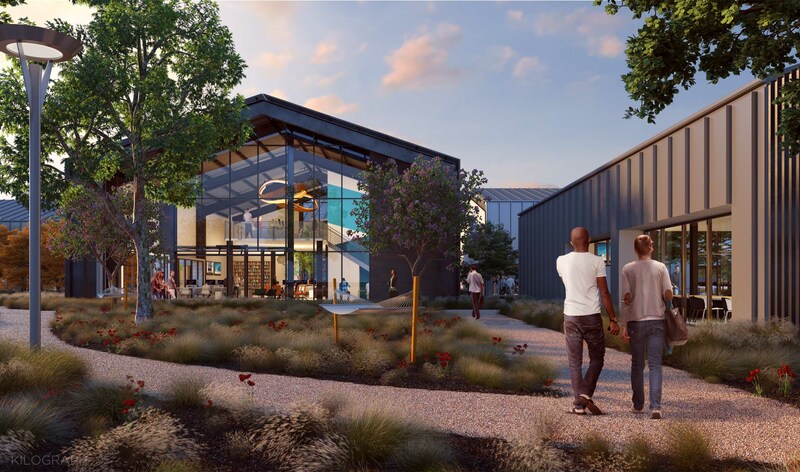 The redevelopment of FLIGHT at Tustin, a former Marine Corps Air Station, reimagines the site as a new urban neighborhood inspired by the vernacular of aviation. 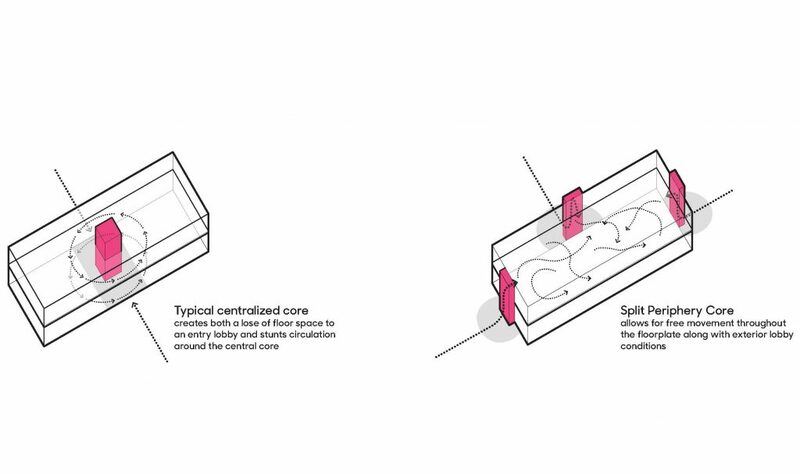 The large, uninterrupted double-height buildings flip traditional organization by laminating core elements such as lobbies, elevators, stairs, and services to the perimeter to increase usable interior space and catalyze site activity. 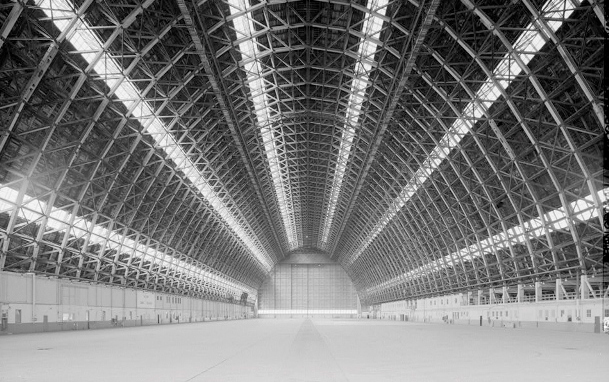 The form of the buildings at FLIGHT are inspired by its aviation history and the vernacular hangar structures. 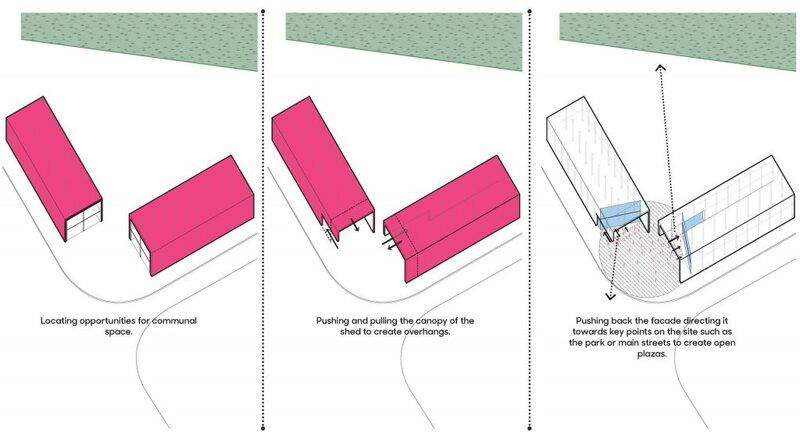 Hangar-like structures are sited to create overlap between communal spaces. The form is then manipulated to adapt it to a new use as a creative workplace with a strong interface with the landscape. The redevelopment of this former Marine Corps Air Station reimagines the site as a new urban neighborhood. 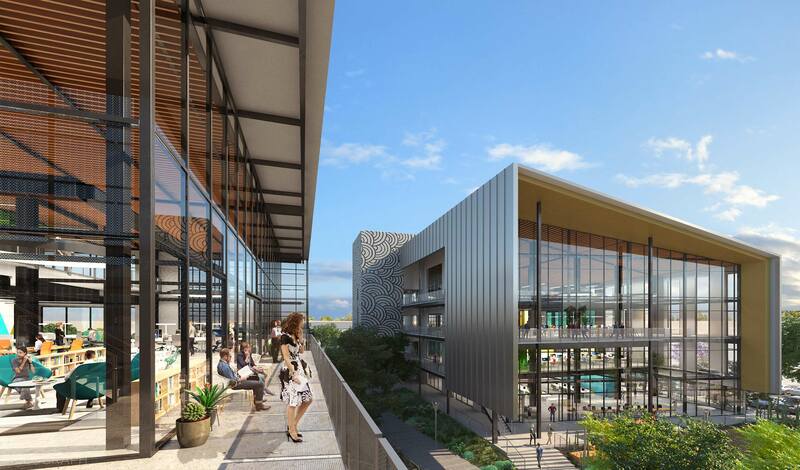 The 38.74-acre master plan positions uninterrupted double-height buildings that evoke the airplane hangars that once occupied this site—only they are arranged to meet the needs of people, rather than planes. 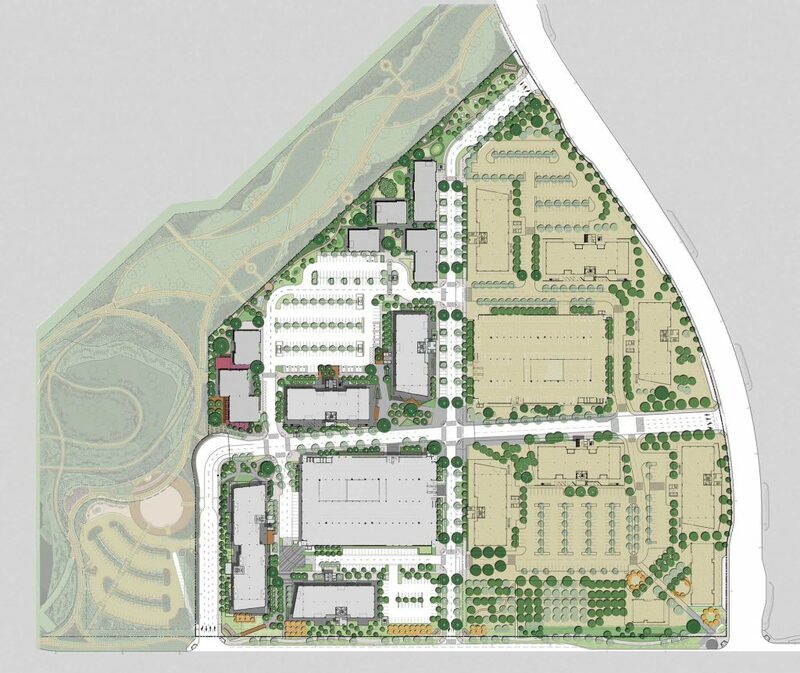 The design starts with an urban grid of pedestrian-friendly streets that extend into the surrounding city, creating a sense of openness not typically found in developments of this size. 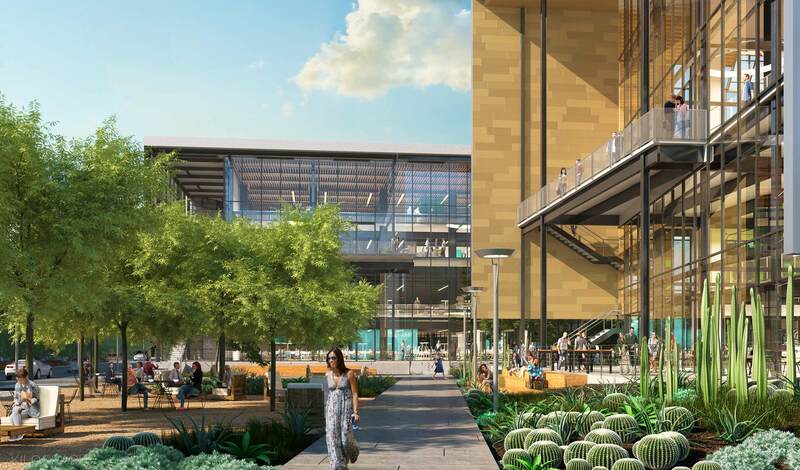 The hangar-like structures, totaling 870,000 square feet, satisfy Orange County’s strong demand for creative office space with large, light-filled floor plates. 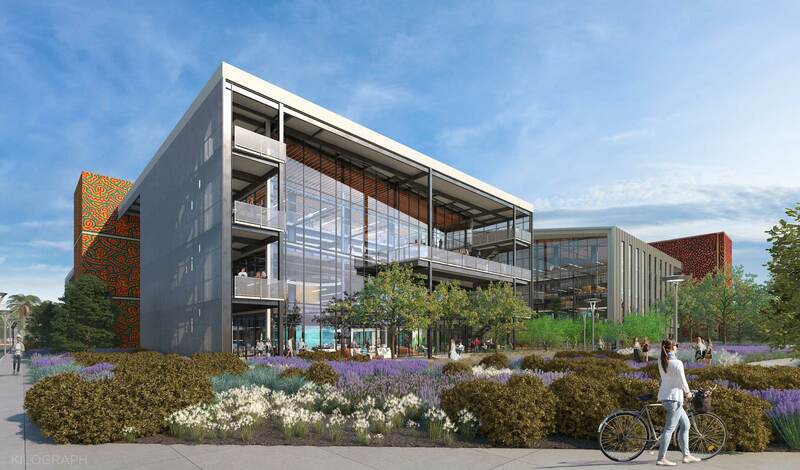 Four-story open plaza office buildings, four incubator-style office buildings, plus the food hall and conference center, are arranged on site. 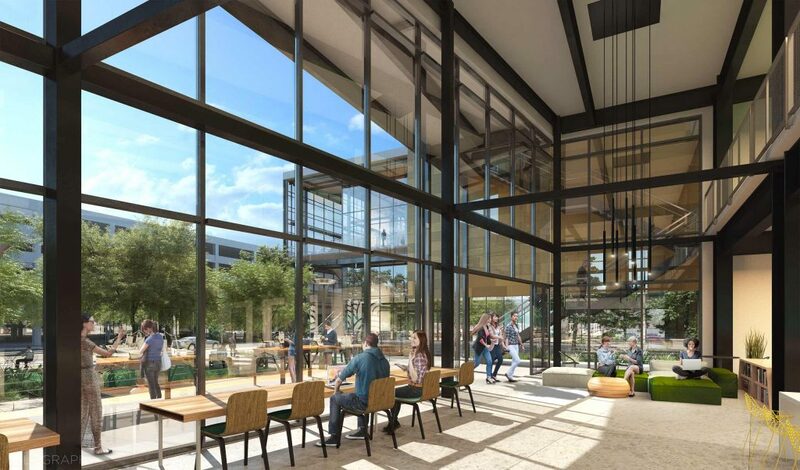 To encourage pedestrian-activity, approximately 100,000 square feet of amenities like a food hall and retail shops punctuate the site amongst an abundance of outdoor spaces that can accommodate private meetings and public gatherings. Instead of concentrating the lobbies, elevators, stairs, and services at the center of the buildings as in traditional offices, these functions are located at the perimeter and laminated to the outside to produce highly efficient layouts with more usable interior space.